The Park is a magical wonderland filled with unique museum displays, the December Nights holiday lights on display throughout the month, plus the famous The Old Globe Christmas Tree, holiday music at the International Cottages, the Holiday Food Truck Festival, and much more. Visit Jewels of the Season at the Timken Museum of Art. See exquisitely handcrafted ornaments float and sparkle for the month of December. Covered in filigree, sequins, and semi-precious gems, the elaborate Hord and Schlappi collection of ornaments are on display in entrancing ways thanks to a partnership with the San Diego State University School of Theatre, Television, and Film. Come celebrate brilliant holiday traditions at the San Diego History Center with their event, Let There Be Light: Celebrating Hanukkah and Kwanzaa. The International Cottages Lawn program features the Suzuki School of Music String Ensemble performing a winter concert on Sunday, December 17 from 2:00 – 3:30 pm. This delightful musical performance is free and open to the public. Eat, drink and be merry when the Holiday Food Truck Festival returns, December 26-30, 2:00-7:00 pm. Sample a wide assortment of gourmet dishes from a dozen popular San Diego-area food trucks. Free live music and dance performances in the Plaza de Panama will provide additional family-friendly fun. The Spanish Village Art Center will present arts and crafts activities for kids, and the Fab Trailers Vintage Photo Booth will help visitors capture the moment. Complimentary general admission* to 16 museums throughout the Park. Complimentary admission to Maker Faire San Diego 2018. Explorer Experiences – exclusive events, behind-the-scenes access, tours, and more! Park Picks – Customized newsletters and personal recommendations directly from Park staff. Discounted rides on the Electriquette drivable wicker carts. Discounted IMAX tickets in the Fleet Science Center. The Balboa Park Explorer Annual Pass provides general admission to 16 museums in Balboa Park, with discounts for families, seniors and students, and no blackout dates,* starting at just $99. In addition to exclusive Explorer-only events monthly, Balboa Park Explorer Annual passholders also receive a bi-weekly newsletter plus the latest announcements, special offers, and visitor recommendations curated by Park staff. 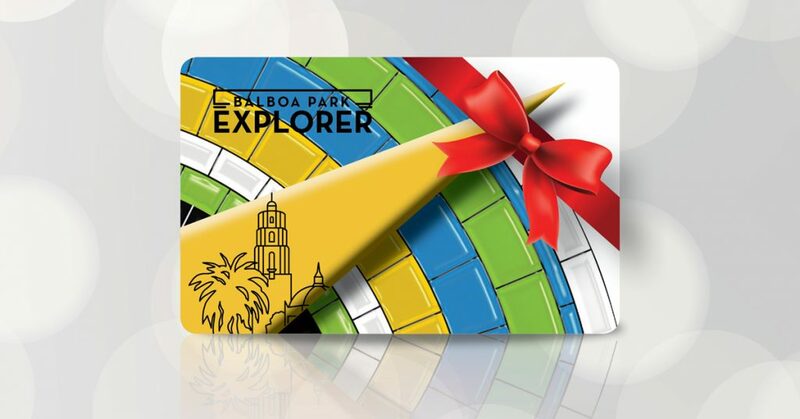 Balboa Park Explorer Annual Passes are available for purchase online at bpcp.kellenmorimoto.com. Single and multi-day pass options are also available. The Explorer Pass program directly funds participating museums in Balboa Park. Visit us at Facebook.com/ExploreBalboaPark, Instagram.com/ExploreBalboaPark, Twitter.com/ExploreBP. *Not valid for select events, special exhibitions and programs. IMAX is available at the special price of $9.95. Before visiting a museum, please contact the museum for information on additional events, special exhibitions, and film costs. **Offer valid for current Balboa Park Explorer Annual passholders, on Gift Voucher annual pass purchases made between November 13, 2017 and January 7, 2018. Passholder status will be checked prior to receiving complimentary tickets. Complimentary tickets will be sent to primary purchaser. Maximum four (4) complimentary Balboa Park Explorer One-Day passes per purchaser. ***Credit must be applied within one week of first use. Apply credit at the Visitor Center. Rules and restrictions apply.